eZee iMenu – a Digital Restaurant Tablet Menu poses as the next generation solution for restaurant menu thereby undertaking the digital form in a classy way to demonstrate the menu items to your customers. Rapid navigation and effortless food ordering is catered by the straightforward interface of iMenu. While using the menu application, you can choose from three operational modes – View Only Mode, Guest Mode and Waiter mode depending on your requirements. 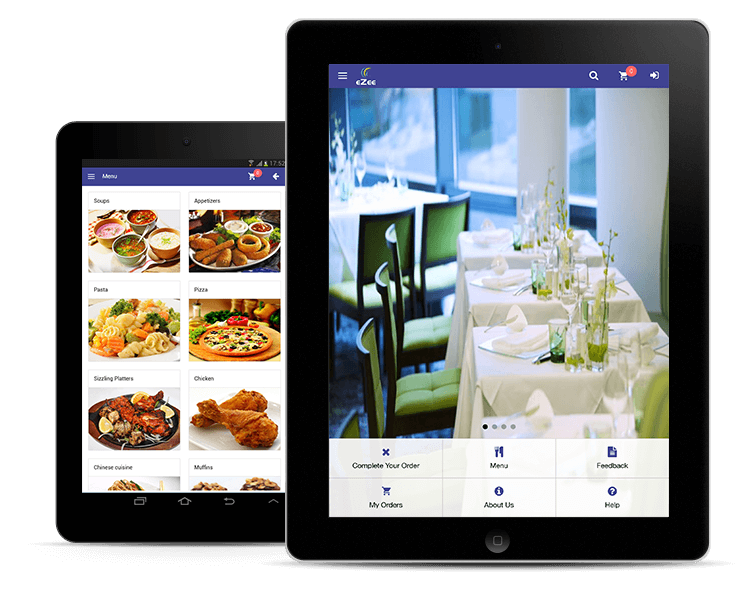 The strong features of the menu software such as theme customization, item modifiers, POS integration, guest feedback and much more, gives restaurants all the tools required for easy management and high yield.